Our first Shabbat of the season will be bigger than ever! 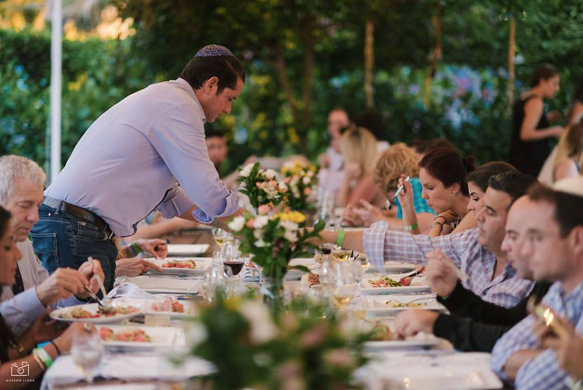 For the first-ever Shabbat 100, one hundred guests will delight in a family-style feast with wine in our al fresco magical space on Friday, October 5, 2018 at 7 p.m. The four-course communal dinner begins with a welcome cocktail and Zak the Baker challah. Following delicious mezze and salads, the main course includes za'atar-crusted cobia with tahini sauce, vegan chickpea panelle with chermoula, and Israeli couscous pilaf with roasted eggplant and carrots. The feast also includes wine. Savor dessert sundaes crafted with Dasher & Crank (rated the best ice cream in Miami)! Tickets are $65 and $18 for kids under 12 years old. Come share the table with us! Dinner is rain or shine.